Cady, J. & Rearden, K. (2009). Delivering Online Professional Development in Mathematics to Rural Educators. Journal of Technology and Teacher Education, 17 (3), 281-298. Waynesville, NC USA: Society for Information Technology & Teacher Education. Retrieved April 19, 2019 from https://www.learntechlib.org/primary/p/28295/. American Association for Employment in Education. (1999). Educator supply and demand—1990 research report. Columbus, OH: Author. Allen, M. (2003). Eight questions on teacher preparation: What does the research say? Denver, CO: Education Commission of the States. Ball, D. L. (2003). What mathematical knowledge is needed for teaching mathematics?, Secretary’s Summit on Mathematics, Department of Education, Washington, DC. Belderrain, Y. (2006). Distance education trends: Integrating new technologies to foster student interaction and collaboration. Distance Education, 27(2), 139-153. Cobb, P., McClain, K., Lamberg, T., & Dean, C. (2003). Situated teachers’ instructional practices in the institutional setting of the school and district. Educational Researcher, 32(6), 13-24. Creswell, J. W. (2003). Research design: Qualitative, quantitative, and mixed methods approaches (2nd ed.). Thousand Oaks, CA: Sage. DeYoung, A. J., & Lawrence, B. K. (1995). On Hoosiers, Yankees, and Mountaineers. Phi Delta Kappan, 77(2), 104-112. Franke, M. L., & Kazemi, E. (2001). Learning to teach mathematics: Focus on student thinking. Theory into Practice, 40, 102-109. Grossman, P. L., Wineberg, S., & Woolworth, S. (2001). Toward a theory of teacher community. Teachers College Record, 103, 942-1013. Hill, H. C., & Ball, D. L. (2004). Learning mathematics for teaching: Results from California’s mathematics professional development institutes. Journal for Research in Mathematics Education, 35(5), 330-349. Hill, H. C., Rowan, B., & Ball, D. L. (2005). Effects of teachers’ mathematical knowledge for teaching on student achievement. American Educational Research Journal, 42(2), 371-406. Lao, T., & Gonzales, C. (2005). Understanding online learning through a qualitative description of professors and students’ experiences. 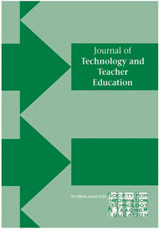 Journal of Technology and Teacher Education, 13(3), 459-474. Lock, J. V. (2006). A new image of online communities to facilitate teacher professional development. Journal of Technology and Teacher Education, 14(4), 663-678. Merseth, K. K. (1996). Cases and case methods in teacher education. In J. Sikula, T. J. Buttery & E. Guyton (Eds. ), Handbook of research on teacher education (pp. 722744). New York: MacMillan. National Research Council. (2001). Adding it up: Helping children learn mathematics. Washington, D.C: National Academy Press. Putnam, R. T., & Borko, H. (2000). What do new views of knowledge and thinking have to say about research on teacher learning. Educational Researcher, 29(1), 4 - 15. Reys, B. J., Reys, R. E., Beem, J., & Papick, I. (1998). The Missouri middle grades mathematics (M3) project. Journal of Mathematics Teacher Education, 2, 215-222. Royster, W. C. (1994, February). Issues in rural education and the rural systemic initiative. Paper presented at Building the System: Making Science Education Work. Putting the Pieces Together Conference, Washington, DC. Schwandt, T. (2001). Qualitative inquiry: A dictionary of terms. Thousand Oaks, CA: Sage. Schwartzbeck, T. D., Redfield, D., Morris, H., & Hammer, P. C. (2003). How are rural school districts meeting the teacher quality requirements of No Child Left Behind? Charleston, WV: Appalachia Educational Laboratory. Seal, K. R., & Harmon, H. L. (1995). Realities of rural school reform. Phi Delta Kappan, 77(2), 119-120. Stein, M. K., Smith, M. S., Henningson, M. A., & Silver, E. A. (2000). Quasar project: Implementing standards-based mathematics instruction: A casebook for professional development. New York: Teachers College Press. Stigler, J.W. & Hiebert, J. (2004). Improving mathematics teaching. Educational Leadership, 61(5), 12-17. Vrasidas, C., & McIsaac, M. S. (2001). Integrating technology in teaching and teacher education: Implications for policy and curriculum reform. Education Media International, 38(2-3), 127-132.